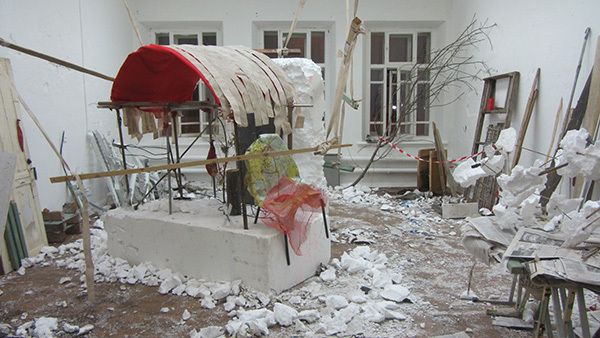 Base Camp was part of the exhibition In Search of the New Industrial Culture at NCCA Ural, Yekaterinburg, Russia. Framework: We began with collecting material that we found within walking distance around the exhibition space. From the found material we built an installation together. No tools were used.